On 21 March 2017, Community Legal Services organized a colorful event on Celebrating Challenge and Change: Community Legal Services in Bangladesh. This event was chaired by Mr. Jerome Sayre, Team Leader of Community Legal Services. Dr. Shirin Sharmin Chaudhury, Honorable Speaker of the Parliament Government of the Republic of Bangladesh was present as a chief guest of this event. Mr. David Ashley, Deputy High Commissioner, British High Commission Bangladesh was also present as a special guest of this event. At celebrating Partners Session, BEACON Awards for Good Practice was awarded to CLS partners on 11 categories of good practice performance. YPSA received the awarded under the category Innovating Service Delivery. 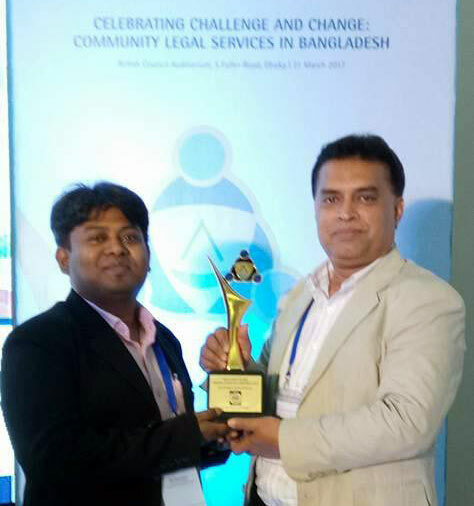 Before that, YPSA-Community Legal Services for Access to Justice Project has applied for BEACONS Award under innovating service delivery as well as innovating Digital Talking Book for visual disabilities and low literate person. A Digital Talking Book as a platform where converted 12 common laws (Acid Crime Control Act, Disability Law, Domestic Violence Law, Dowry Prevention Law 1980, Muslim Marriage Registration and Divorce Law 1974, Village Court 2006 etc.) with Digital Accessible Information Systems (DAISY) standard to the digital multimedia format so readers can play the audio in smart phone as well in feature phone and in computer. This book ensures the sustainability of program, because it is cost effective and currently, Union Digital Centre has been supporting to disseminate the facility of Digital Talking Books at grassroots. YPSA believe that, this is a new innovation in legal service delivery especially for visual disability, print disability and learning disability persons. Digital Talking Book is promoting digital Bangladesh also. 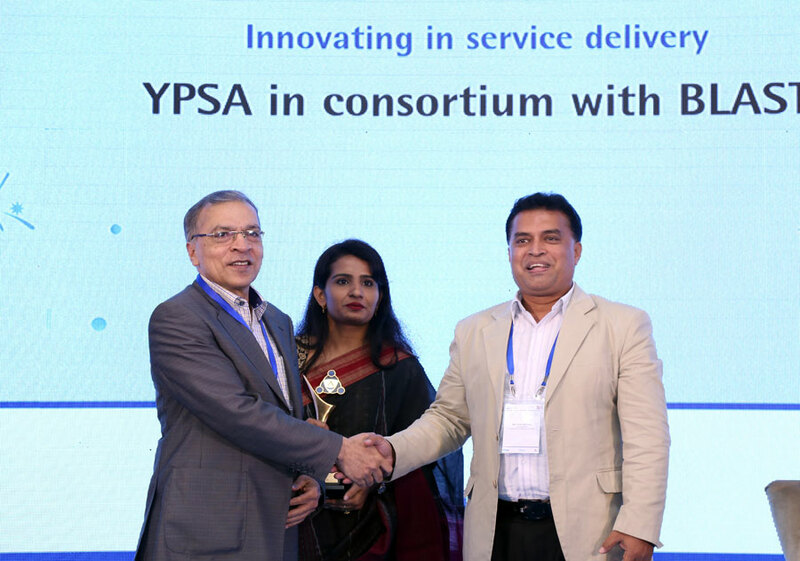 Finally this outstanding innovation of YPSA in legal service delivery got recognition and awarded BEACONS – Shining Lights of Good Practice. 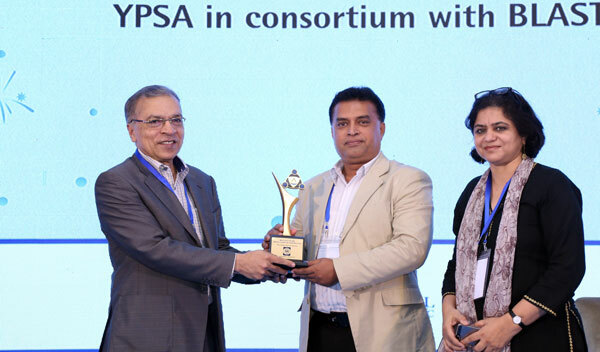 This award was handover to Chief Executive of YPSA with the presence of Dr. Kamal Hossain, the principal author of the Constitution of Bangladesh, Jurist, Statesman, Politician and Freedom Fighter, Dr. Iftekharuzzaman, Executive Director, TIB as well as CLS partners, Donors, Government Officials, Judicial, Media People, NGO representative and CLS beneficiary. The award ceremony was held on British Council Auditorium, Fuller Road, Dhaka.